Despite the amazing advancements in emergency care, when it comes to chronic health conditions and longevity, our current system very often falls short in improving the status of our vitality and long-term health. We are now facing epidemic levels of obesity, diabetes, heart disease, and cognitive impairment and more and more people are desperately seeking solutions. Long gone are the days of taking a one-size-fits-all approach to common health issues. The time has come to take a more personalized approach to wellness, one that addresses the underlying causes of chronic illness by tending to one’s personal health needs, and not just an isolated set of symptoms with a cookie-cutter solution. 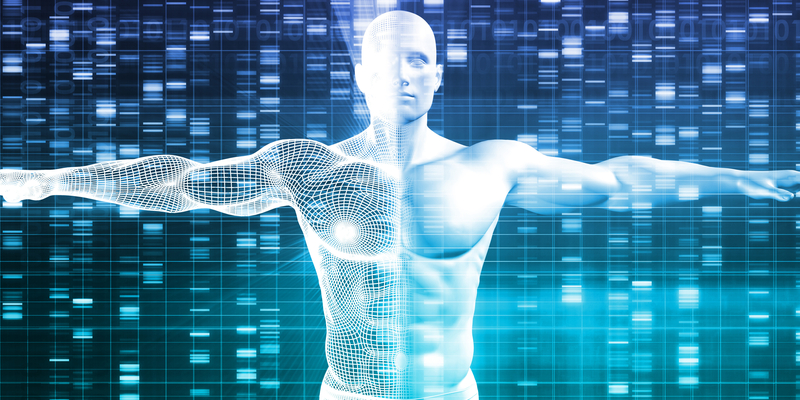 With advances in genetic variation testing, people are now able to zone in on what lifestyle recommendations are best suited for them and their own unique genetic makeup, and truly optimize their body’s full potential. So who could benefit from this testing? Well to answer that, have any of the following questions ever crossed your mind? Do you have trouble losing weight, despite eating healthy and exercising? Would you like to know what types of foods are best suited for you? Would you like to know how your hormones and neurotransmitters are functioning? How about what nutrients you may have trouble absorbing? Can your body properly detoxify itself? Are caffeine and alcohol more harmful to you than others? Should you be on a ketogenic or plant-based diet? How can interpreting your genes help you with answering these questions? By identifying and addressing common genetic variations known as Single Nucleotide Polymorphisms (or SNPs for short). How do these variations happen? In order for new cells to be made, an existing cell must divide itself into two. During this process, it makes a copy of its DNA so the new cell will have a complete set of genetic instructions. Sometimes a mistake is made in the copying—kind of like a typo—and these typos lead to a variation in the DNA sequence at a particular location, called SNPs. These variations can affect our predisposition for certain conditions and diseases. Being aware of what SNPs a person carries will allow for more precise and customized nutrition and lifestyle recommendations that are tailored to each person’s needs. It is important to realize that SNPs also interact with environmental factors that either magnify or diminish their clinical significance. While millions of SNPs are known, only a few have clinical significance. There are now tools that help provides reports on SNPs that are relevant to health, validated by published research, and responsive to nutritional support, making it simple for healthcare providers to upload a patient’s genetic test results and offer a tailored nutritional regimen based on each individual’s unique health needs. The idea here is that, if you know your genetic variations, you can take a more personalized and integrative approach to health, one that supports your body’s natural processes, which, in turn, can prevent future health complications from developing. Within your DNA there is a roadmap to achieve optimal health and wellness. The future of wellness is taking a personalized approach to address your individual needs, make you look and feel your best, and prevent chronic conditions from developing. If you want to learn more about this topic, check out the FREE Online Interpreting Your Genetics Summit from April 1-7, 2019. Click on this link to sign up!